If you’re the type of person who has a healthy appreciation for a good glass of wine but happens to lack the diction to fully express your feelings on the matter, then perhaps a quick lesson regarding wine jargon may do the trick. Next time you find yourself wine tasting with friends out in the Stellenbosch Winelands, or simply chatting around the dinner table while your choice bottle of Two Oceans wine gets passed around, you’ll be fully equipped with the right vocabulary to express your appreciation. 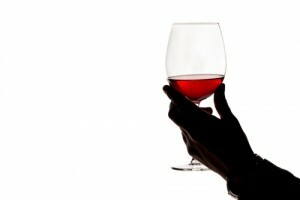 Aroma: As the term implies, ‘aroma’ refers to the scent of a wine. A considerable part of the wine tasting experience has to do with smell, and the aroma refers to a component of a wine’s bouquet. For example, cherry is an aromatic component of a wine with a fruity bouquet. Acidity: The acidic component of a wine is distinguishable by the level of sharpness one detects when tasting it. Balance: This refers to the level of harmony amongst multiple components within a wine. The marriage of tannins, fruits, acidity and other elements in a specific wine renders a particular balance, which is generally subjectively judged. Body: The body of a wine can be classified as light, medium or full according to the impression of weight left on your palate. Bouquet: A term applied to the overall scent of the wine. Earthy: Used to describe flavours and aromas that inspire a soil-like quality. Oaky: A descriptive term applied to a wine that yields woody flavours and aromas. Silky: A broad term which is used to describe a wine with an especially smooth consistency. Spicy: Used to refer to a wine which has aromas and flavours that are woody, sharp or sweet. Steely: Usually used to describe the flavour of a wine which has not been aged in wooden barrels – steely wines are extremely crisp and acidic. Of course, wine jargon is more extensive than the list provided above, but this is a start for all Two Oceans wine lovers and enthusiasts.